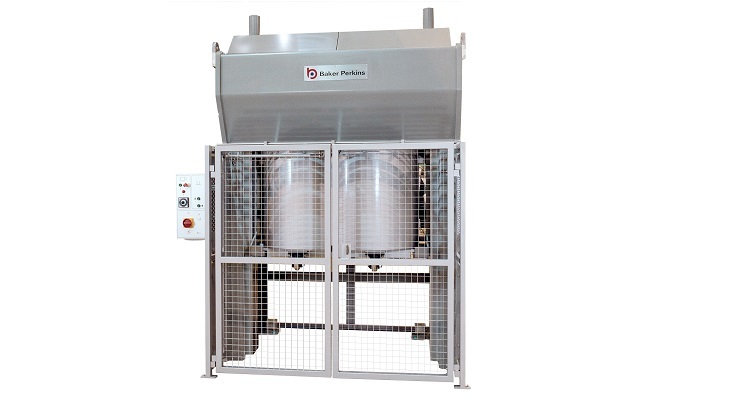 The 550 is a multi-purpose vertical spindle batch mixer with removable tubs. 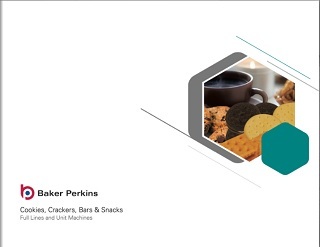 It is suitable for all types of biscuit dough, especially where a gentle mixing action is required. 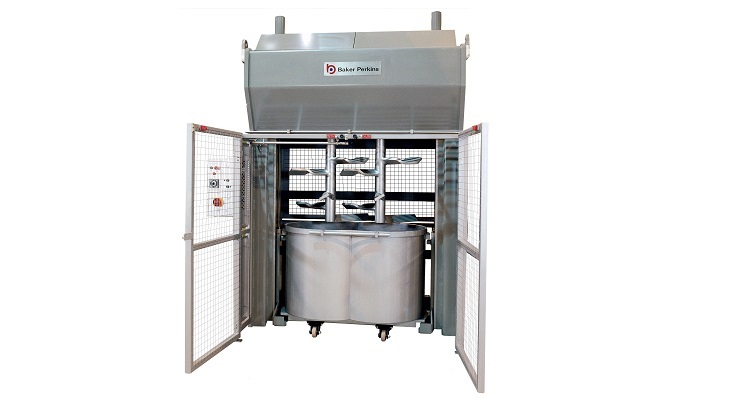 Wheeled mixing tubs are charged with ingredients, either by hand or from a semi-automatic tub filling system. 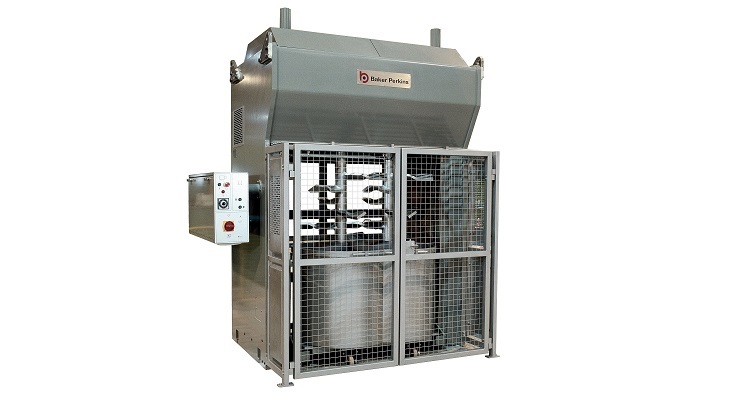 The tubs are loaded into the mixer and raised up to the twin vertical spindle blades for thorough mixing. After mixing, the tub is lowered and wheeled away to either a tub tilt or a fermentation room. 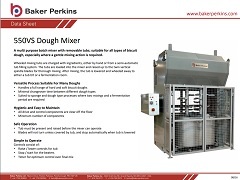 Typical mixing times and batch sizes (including loading and unloading the tubs from the machine) range from 15 minutes and 550kg for soft dough to 45 minutes and 475kg for very hard dough.